Hooked on essential oils? Wondering what to do with all those empty bottles? Easy! 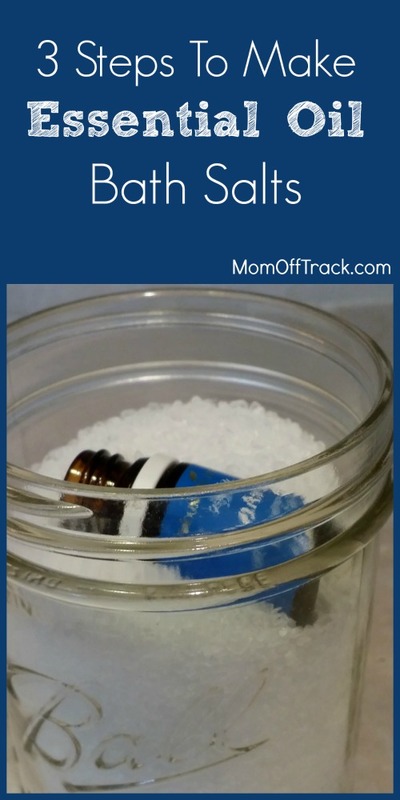 Make essential oil bath salts. This has to be the easiest DIY project on the planet. 1. Fill 12 ounce wide mouth Ball Mason Jar with epsom salt. You can buy epsom salt in just about any drug or grocery store. I purchased a 4 lb bag at Target for around $4. You don’t have to use a wide mouth ball mason jar but use something glass that closes tight. I like the wide mouth mason jars cause they are super easy to decorate. This would make a great gift. 2. 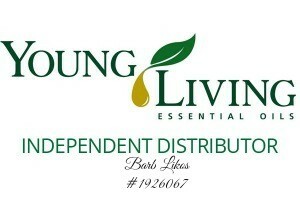 Use any empty Young Living essential oil bottle you would like. Do not clean it out. It’s best if it has a few drops left in it. The one I really like to use for bath salts is Panaway. It makes a relaxing soak that helps relieve my sore muscles. Take off the lid and the remove the inner plastic stopper. 3. Place oil jar inside the mason jar of salts. Close up the mason jar tightly. Let it sit 24 hours. The salt will draw the remaining essential oils out of the jar. Gentle shake it up to the move the bottle around every now and then. That’s it! After 24 hours you have an amazing essential oil bath salt to enjoy. Make sure to take out the oil bottle and recycle it. I recommend using about 1/2 the jar for a large bath tub or pouring a little into a pedicure basin after a long day and soaking your tootsies. Happy relaxing! Love DIY projects using Essential Oils? Check out this Cinnamon Vanilla Sugar Scrub too! Need to buy new oils? I can help you save $25 on the new Young Living Premium Starter Kit. Great idea! I love that you get the very last drops out without wasting them. All my essential oil bottles are full( just getting in to essential oils) is there a way to make this using drops of oil? Sure, just use 15 drops of your favorite oil. Put 5 in, shake it up and repeat 3 times. Close the lid and let it sit 24 hours at least. I want to make this for a friend that has fibromyalgia. So is it 15 drops to how much Epsom salts? 12 ounces? My oils have self droppers in them. I take them out and use plastic beaker droppers. Any eye dropper will work. Just you loose oil because you have to clean it between smells. I use one plastic per smell. I write the smell on the dropper. I get a 100 for abt $7.00 on Amazon.